Most posts on this forum, especially when it comes to performance, are positive in nature. This one, however, is a warning to all of those that think the L27 can sustain the abuse of a supercharger. First, a little background. The L27 and L67 (Series 1, 1992-1995) are externally identical, long-block wise. 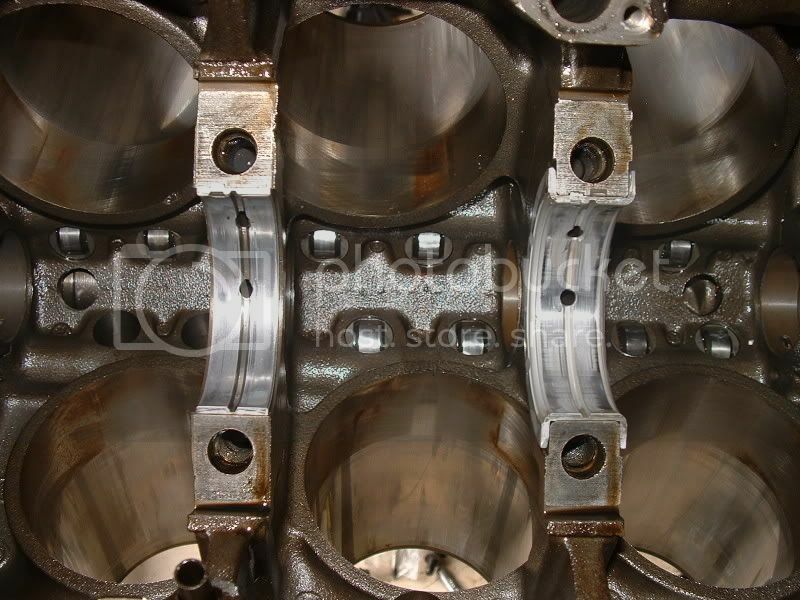 They both use the same crank, heads, rockers, lifters, pushrods, and even the same block. 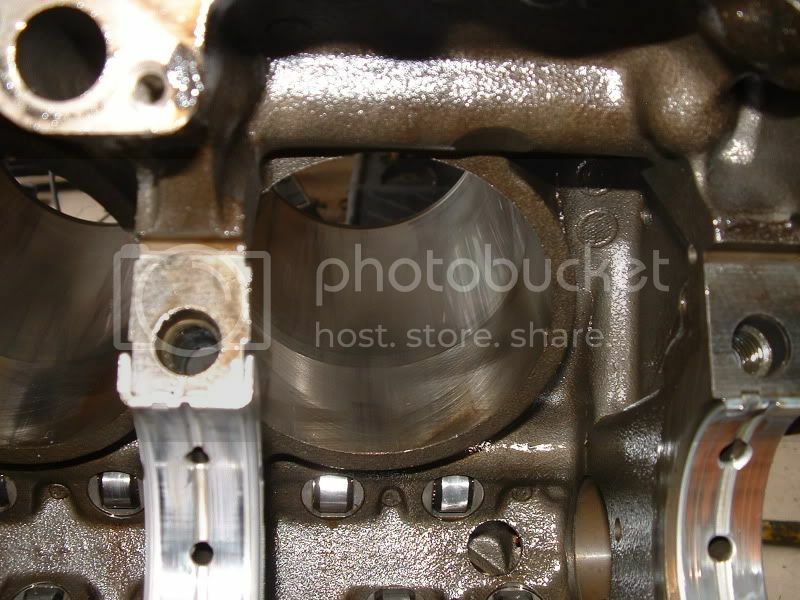 What differs are the pistons, and the connecting rods. This is important to know. 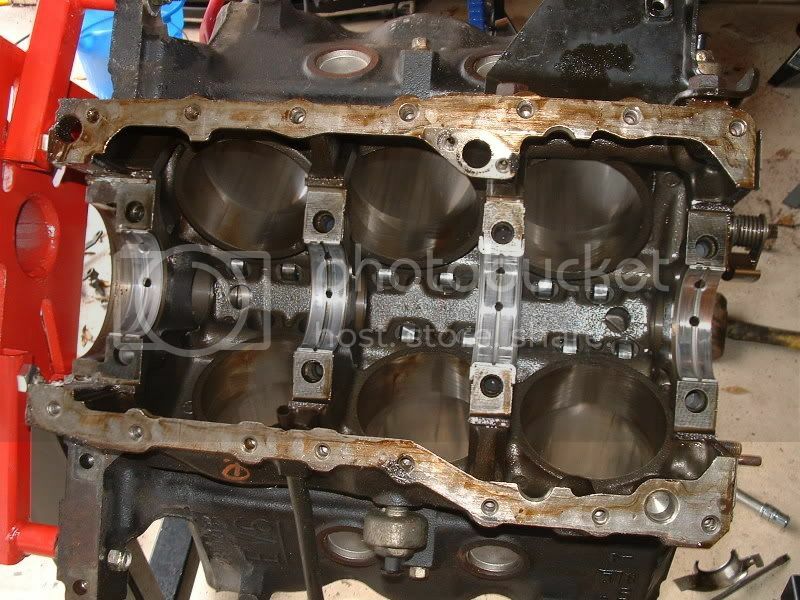 In late 2006, a member of our forum (namely, me) had little choice but to use an L27 long block as a replacement for the blown L67 due to supply issues. Once everything was said and done, it ran well enough, and was left alone. Then along comes some performance upgrades...upgraded supercharger, smaller pulley, even a prototype PCM system...and ran like a scalded dog. But something happened...it became noisier. 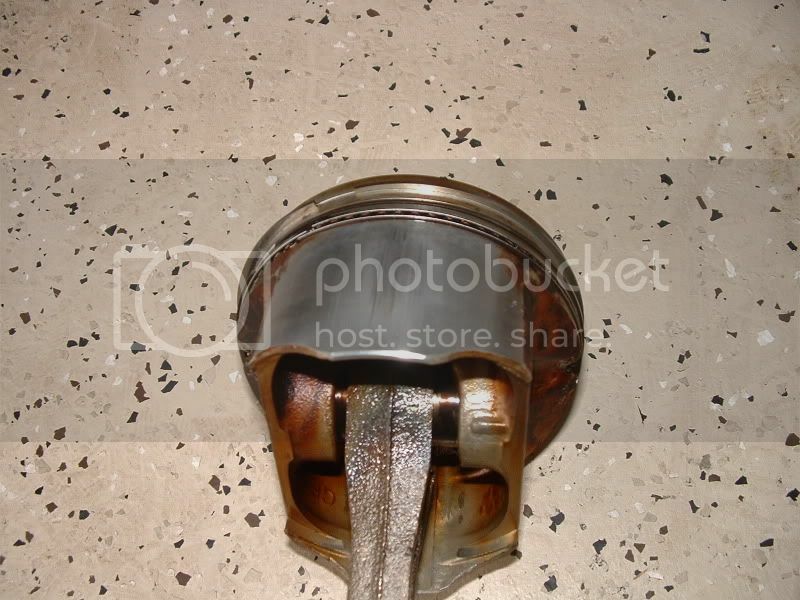 Oil pressure seemed fine, but for some reason the engine just felt like it was tearing itself apart. After some consultation with other members, the engine was deemed too unstable and was put out of service. A month later, the engine was disassembled for autopsy. What was found stumped everyone, as something like this had never happened before. All of the rod bearings, and all of the main bearings, had been wiped out! The pistons looked great, as did the rods. 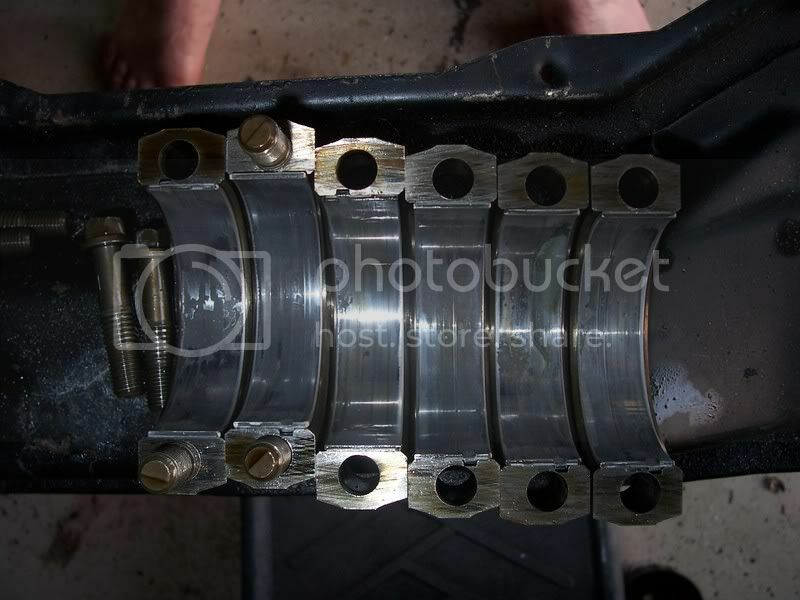 But..these rods were not meant to take positive pressure, and neither were the bearings as it seems. The pistons also got a fair amount of scuffing. This is representative of all the pistons. So, to answer the question....yes, an L27 can be supercharged, but not for long. This one was in pristine shape...way above average condition...before the conversion, and only had about 90k on the block. These pics were taken after autopsy, and only about 1,000 miles were put on the engine in supercharged configuration. 2005 GXP - White Gold Pearl, no mods...yet. 2000 SSEi - Resurrection in progress. Built L67 w/L32 fuel rail, ported heads, and cam. Camaro front brake system, GXP cluster, and much more in planning. Looks like a Volt, Sonata, and Taurus got it on. Last edited by sandrock on Tue May 03, 2011 11:25 pm, edited 1 time in total. Can I supercharge my non-supercharged Bonneville?